Making the decision to pursue private higher education is a big leap, but it did not stop Muhammad Zhafran bin Mohd Aris and Ahnaf Syahmi Aszemi from taking the step forward and entering a private higher education institution, namely INTI International University in Nilai, Negeri Sembilan to pursue the Bachelor of Biotechnology (Hons) programme under the MARA scholarship. Zhafran met Ahnaf at the Life Sciences Club, where Zhafran was the Treasurer and Ahnaf was the Publicity Coordinator. Together, they handled one of the university’s largest annual projects called “The EDventure of Aladdin”, a community service project for underprivileged primary school students. The one-day programme incorporated the fabled story of Aladdin into a mini ‘theme park’ at INTI for 190 underprivileged primary school students from 13 schools in Negeri Sembilan who engaged in various games and activities to develop their proficiency in the English Language and Science. 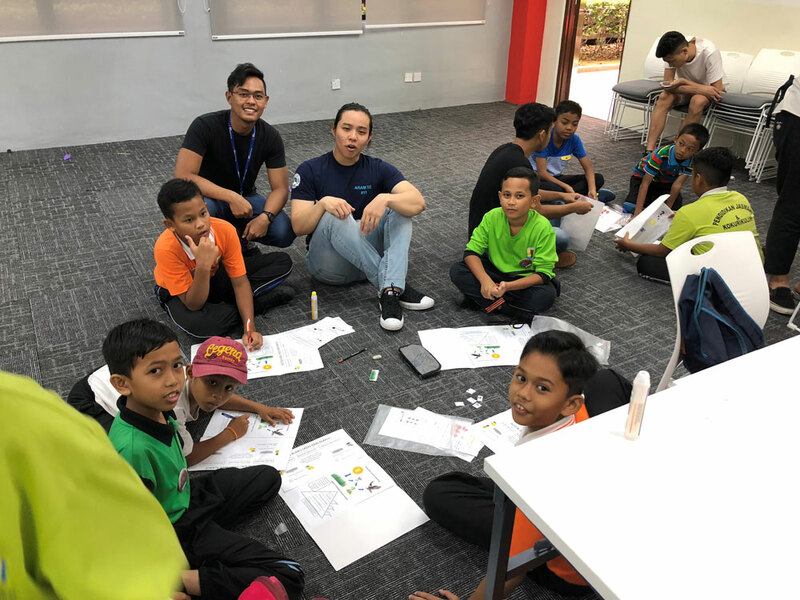 Zhafran and Ahnaf were part of the team to create and coordinate UPSR-focused Science games to help these primary school students gain a better understanding of their UPSR Science subject. There were hands-on experiments using acids, alkalis and electrostatic forces, as well as mind mapping techniques to improve their understanding on topics such as the eclipse of the sun, food chains and the energy pyramid. As a result of the event, these primary school students had a better understanding of English and Science, and were also motivated to study hard to enter university. For Zhafran and Ahnaf, they learned the importance of teamwork and how to share their knowledge and love for Science with children. The event also boosted their self-confidence and communication skills as they worked with fellow students from other faculties to ensure the event’s success. Zhafran and Ahnaf are also active in other extra-curricular activities. Zhafran just completed his service as the President of INTI’s Muslim Students Society, while Ahnaf is currently a member of The United Nations Association of Malaysia (UNAM) Youth Circle, a division that is coordinated and run by the local youth community that are involved in UN-related initiatives. Zhafran is now completing his studies at The University of Adelaide in Australia, while Ahnaf is completing his studies in INTI.